The origins of the Society of St. Vincent DePaul began in France with Blessed Frédéric Ozanam. Ozanam, while a student of law at the Sorbonne in Paris collaborated with Emmanuel Bailly in reviving a student organization they called “The Conference of History.” At one of their meetings in 1833, a student challenged Frédéric and the practicing Catholics in the group. The student, a critic of the Church, conceded that the Catholic Church had done much good work in the past, but asked the group “what do you do now?” Struck by this encounter, Frédéric called for a meeting with Bailly and some others from the group. As a result of the meeting, Frédéric decided to found the “Conference of Charity” to assist the poor. 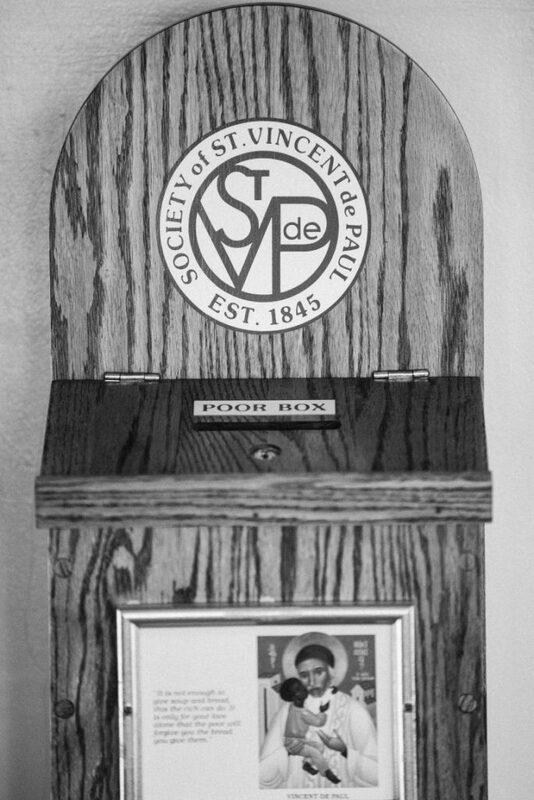 In a short time, they changed their name to The Society of St. Vincent de Paul in honor of their patron. While historians are not certain about some details, there is no doubt that the Society of St. Vincent de Paul was established in St. Louis, Missouri at the Basilica of St. Louis, King of France, popularly called “The Old Cathedral,” in 1845. 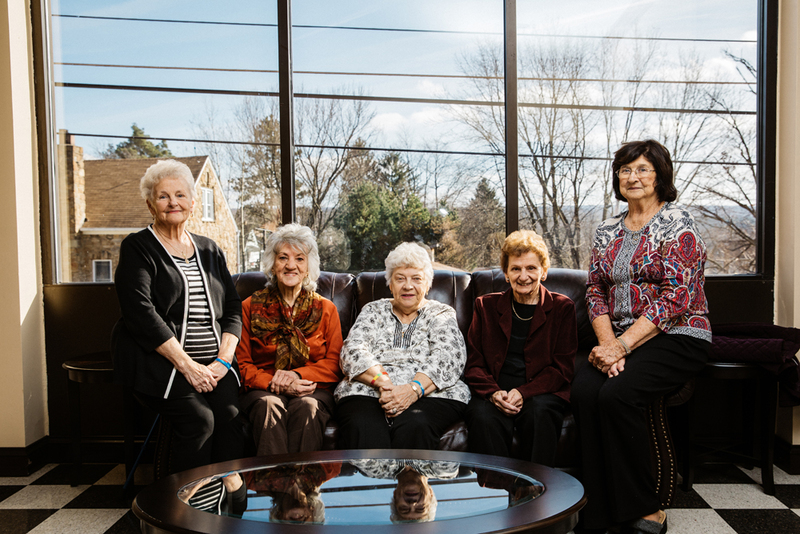 While the Society of St. Vincent DePaul began its work in the Altoona-Johnstown Diocese in the early 20th Century, it was established in Central City much more recently. Inspired by Gospel values, members of the society (known as Vincentians) join together to grow spiritually by offering person to person service to those who are needy and suffering in the tradition of its patron, St. Vincent de Paul – Vincentians collaborate with other people of good will in relieving need and addressing its cause – making no distinction in those served because, in them, Vincentians see the face of Christ. Quietly and consistently our parish St. Vincent DePaul conference offers assistance to the needy in our community. Anyone interested in fostering personal spiritual growth and serving the poor is welcome to join the Society of St. Vincent DePaul. 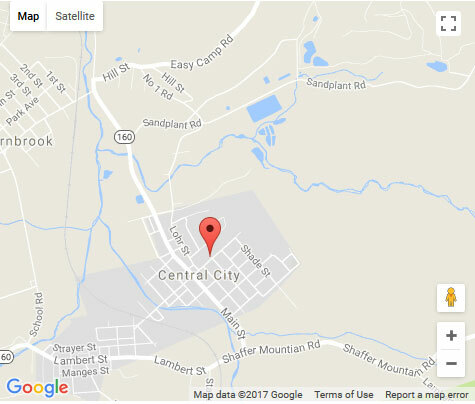 The Society meets on the First Wednesday of the month at 7:00 PM. The current president of our parish conference is Jenny Novak.